This guide will help you anticipate and prevent or minimize side effects that your patients can develop as a result of isotretinoin therapy. In practice and perspective, a balanced approach to cosmetic and medical affairs coupled with a strong team ensures effective implementation of cosmetic services. 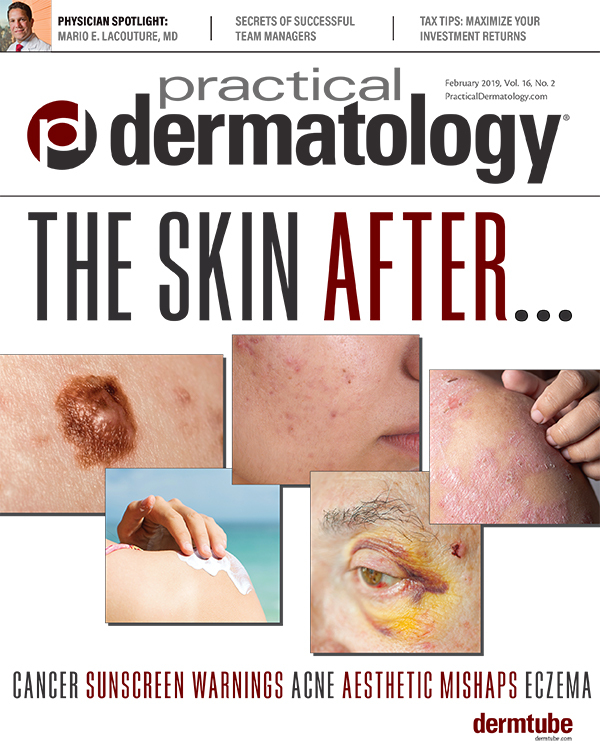 Is Topical Therapy for Psoriasis Resurging? 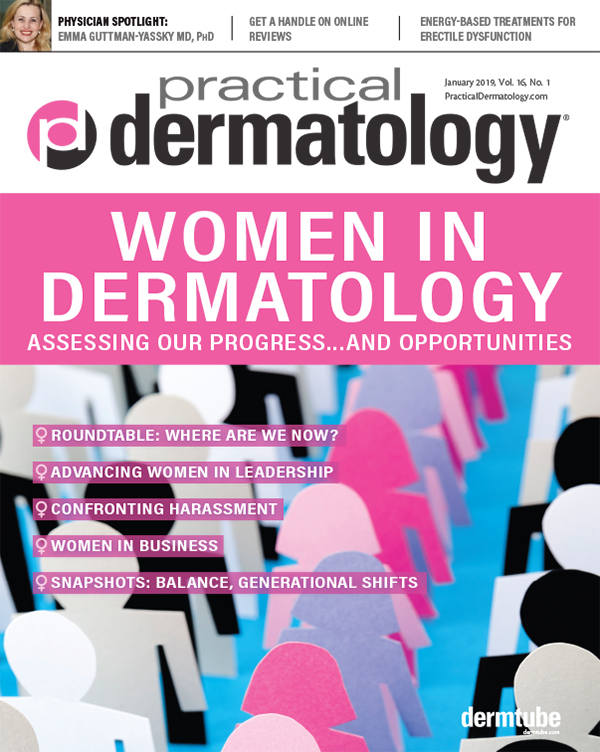 While biologics have changed the way patients and physicians think about psoriasis, topical therapy remains important for a majority of patients. Learning how the biochemistry of the product can enhance patient outcomes is an important step in setting and managing proper patient expectations. United We Stand, Divided We Do Better? Misuse of terms can potentially result in improper diagnosis and suboptimal management of the patient. Medicare participating providers who use EHR may be eligible for incentive payments. Here are the codes to report. In-House or Outsourced: Which Billing System Is Right for You? Each option has potential benefits and drawbacks. Here's how to make a wise choice for your practice. 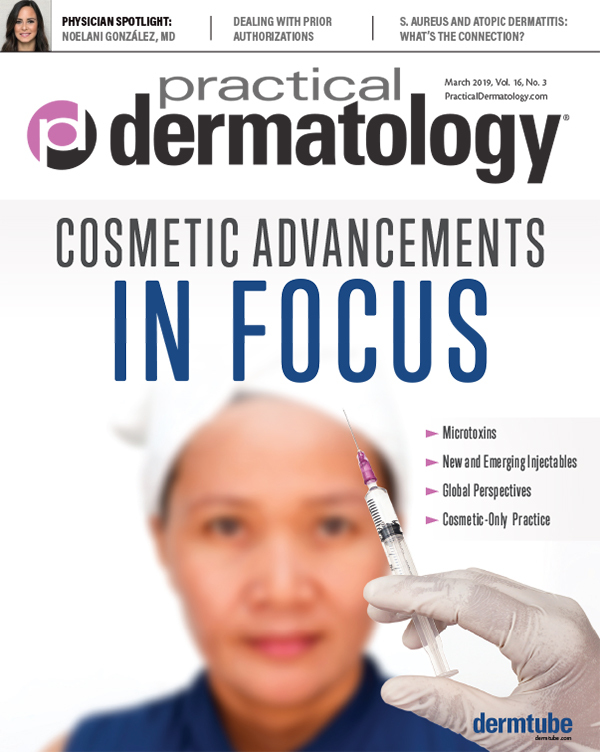 The number of potential topical therapy combinations for management of acne vulgaris can be astounding. Specific characteristics of the patient's clinical presentation determine treatment selection. A closer look at the stimulus plan reveals the Obama administration's plan for implementing electronic health records through incentives and disincentives. 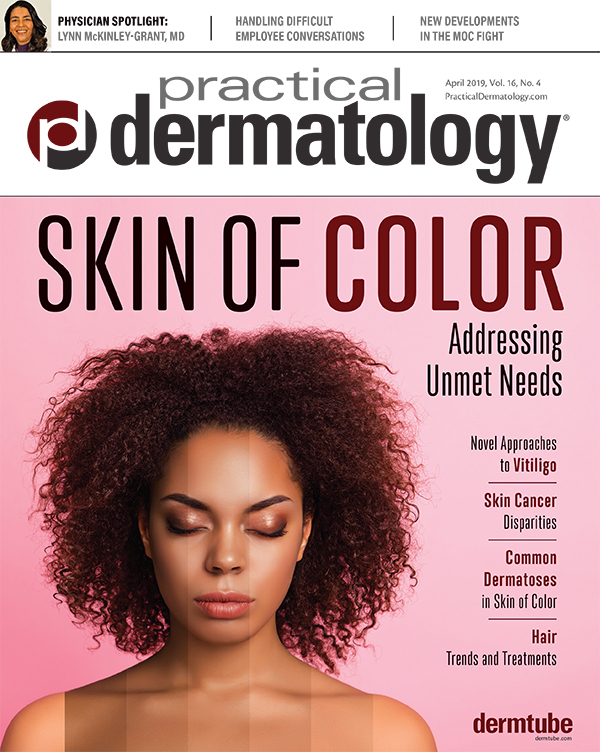 Topical immunomodulators and PDT have received much attention lately, but other non-surgical trends are emerging. Here's a look at them.